Thundershirt has created a Donate-A-Thundershirt program for rescues and shelters! For $27, you can order a Thundershirt for a Puggles & Pitties dog, $10 off their regular retail price plus free shipping. To donate a Thundershirt to Puggles & Pitties, simply click the banner ad on the right of our home page (or below, or click HERE) to be taken to the Puggles & Pitties Thundershirt donation page. Simply place the order for a medium Thundershirt, and they’ll ship it directly to us – so easy! This is a wonderful opportunity to support our small rescue without spending a lot of money. 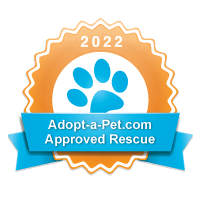 Any shirts donated through this program will go with the dogs once they’re adopted to help with their acclimation to their new environment. Thank you in advance to anyone who might donate, and thank you to Thundershirt for this fantastic program! « Pit Bulls 101 – Free Info Session! !